Join the new face of Internet advertising! The personal touch of a recommendation by a trusted blogger brings any product right into the home and is much more effective than a random visual ad on the Internet. There are four factors that impact everyone: food, finances, the environment and time. I blog about balancing them all here at Kitchen Stewardship, where readers enjoy family-friendly recipes mixed with science geek research, a pinch of efficiency tips and a generous shake of honesty. Through our community, thousands of readers take bite-sized baby steps to real food and natural living. 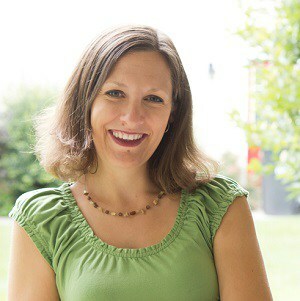 Katie Kimball, owner and editor of Kitchen Stewardship, writes from Michigan where she spends an awful lot of time in the kitchen striving to feed her family healthy, nourishing foods. She is a teacher by education, a mother by vocation, and a foodie by passion. She has embraced her writing and cooking talents within the art form of the blog since February 2009. Kitchen Stewardship has introduced many small, natural brands to an audience of passionate foodies, moms trying to do the best they can for their families and lots of folks just seeking vibrant health. We’re looking forward to partnering with many more businesses in the future. There are a number of ways you can partner. We have packages that fit every marketing need and budget. We can also work together to create something custom just for you. Let’s talk about your marketing goals for this quarter, and we’ll work on building a customized campaign for you immediately. Dash us an email at katie @ kitchenstewardship.com introducing your brand and product, and let us know what you are interested in.